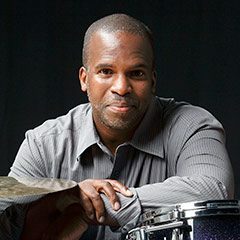 Celebrated drummer Will Kennedy joined the USC Thornton Popular Music faculty this fall, taking over for the late Ndugu Chancler, a longtime faculty member beloved by students and faculty alike. Kennedy was first invited to campus as one of “The Magnificent Seven,” seven remarkable drummers Patrice Rushen, chair of the Popular Music program, called upon to fill in for Chancler last Spring. This week, KPCC’s radio show The Frame featured a story on how Kennedy was selected as Chancler’s permanent replacement. Listen below as The Frame contributor Betto Arcos reports.